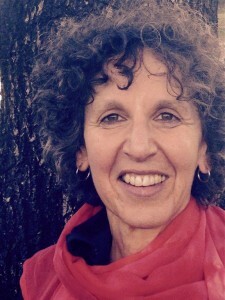 Linda Rabin brings to Continuum more than 40 years of experience in dance, movement education, coaching and directing. A graduate of the Juilliard School (BFA in dance, 1967), she worked as rehearsal director and teacher for Israel’s Batsheva Company and with Ballet Rambert in London, England. She taught and choreographed extensively across Canada for many of the country’s major dance companies, professional schools and university dance programs. Continuum speaks to the artist in me. The creative adventure inherent in this practice stimulates every particle of my dancer being, awakening me to the movement of life as art. Her unique perspective on dance was deeply informed by studies in the 1960’s and ‘70’s, in the Alexander technique with Rika Cohen & Katya Michaeli, Pilates with Bob Fitzgerald, Ideokinesis with its creator, Lulu Sweigard, Kinetic Awareness with Elaine Summers, as well as Voice and Theater with Ann Skinner and Richard Pochinko. The desire to integrate mainstream dance training with creative and personal processes, led Linda with colleague Candace Loubert, to co-found Les ateliers de danse moderne de Montréal (LADMMI) in 1981. Recently renamed École de danse contemporaine de Montréal, it is recognized as one of Canada’s leading schools in contemporary dance training. As a Canadian dance pioneer, Linda has contributed to the emergence of several generations of dancers in this country. Eighteen years ago Linda reoriented her focus more fully on Somatic Education. She studied Experiential Anatomy and Infant Developmental Movement Patterns, to become a certified practitioner of Body-Mind Centering®, the work of Bonnie Bainbridge Cohen. During that time she discovered Continuum and began intensive studies with founder, Emilie Conrad and with Susan Harper, creator of Continuum Montage. Soon after Linda was authorized to teach this work and has been doing so ever since. While she draws upon her background in Dance, Theater, Body-Mind Centering® and other Somatic Studies, Continuum dwells at the heart of Linda’s practice today. Linda lives in Montreal, Canada where she offers private sessions, weekly classes and workshops in Continuum. She maintains a connection with the performing arts through personal coaching, facilitating the creative and performance processes and through Continuum workshops for actors and dancers. Her love for travel, languages and meetings with people of different cultures has brought her to Europe, India, Asia, Central and South America and the Middle East. She shares her life passion with people from all walks of life – movement both as art and healing, as a way of life knowledge and spiritual practice.